3 Ways to Celebrate Summer... Before it's GONE! 3 Ways to Celebrate Summer... Before it&apos;s GONE! In many areas across the state (and country), parents are stocking up on school supplies and kids are mourning the end of that most sacred of holidays… summer vacation. Most schools around the area head back to class the week of August 3-7, but some are heading back even earlier! That gives you limited time to grab the kids and head out on a last-minute celebration of summertime. To help you out with planning, we’ve put together a list of possible activities built around three themes - feel free to mix and match to suit your family’s unique personality. 1. Visit a Farm! Discover where and how things are grown, or get up close and personal with farm animals. Hunter’s Honey Farm in Martinsville can show you how bees turn the blossoms of spring and summer into tasty honey for our tables. 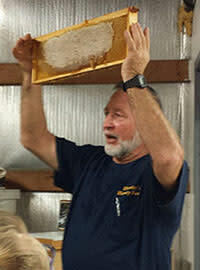 Call ahead to schedule a honey barn tour or live hive demonstration. Grandpa Jeff’s Trail Rides in Morgantown will introduce you to a friendly horse for a fun ride through field and forest. All ability levels are welcome. At Willowfield Lavender Farm, near Mooresville, you can wander through rows of lavender plants and discover why people have been cultivating this popular plant for centuries. Pick up some calming lavender-scented items from the store... (it might come in handy once the stress of back-to-school kicks in). Anderson Orchard in Mooresville is now open! You’ll find you-pick and already-picked fruit and other produce, and don&apos;t miss the snack bar – we recommend a yummy apple cider slush). 2. Discover Nature! Take a hike, a wild zip line ride or enjoy a quiet stroll and some playground time. 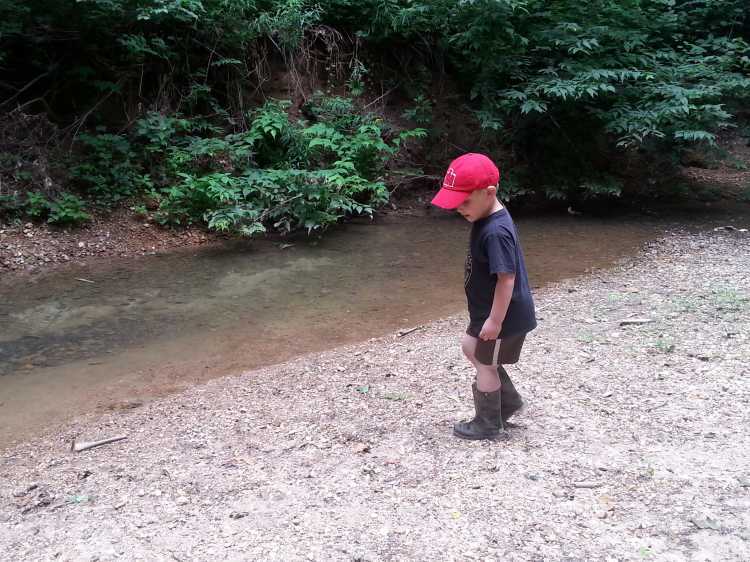 Morgan-Monroe State Forest is a great place to discover the great outdoors – choose from two rugged, 10-mile trails, two moderate trails (three miles or less) or grab a self-guided booklet and explore the 2/3 mile Tree Identification Trail. Pioneer Park in Mooresville offers paved walking trails, a variety of playgrounds and a unique zip line that lets you ride with a friend - the only one of its kind in Indiana. You’ll find a variety of playground equipment, a pond for fishing and a great hiking trail at Jimmy Nash Park in Martinsville. 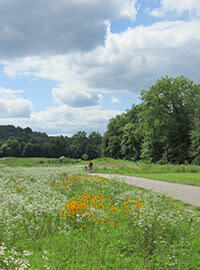 There’s also a paved loop trail for those who prefer a more even surface. 3. Enjoy a Sweet Treat! We’ve already mentioned Hunter’s Honey Farm, but you’ll also want to check out these great stops for a quick treat, or a whole meal - and tell &apos;em Visit Morgan County sent you! 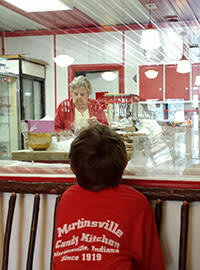 The Martinsville Candy Kitchen is an iconic presence in downtown Martinsville. Indulge in a root beer float, or teach your kids what cherry Coke is really supposed to taste like! Mimi’s Fatcakes, on Main Street in Martinsville, is your stop for donuts, cookies, pie and anything else your sweet tooth desires. Pop in for a visit, Wednesday through Saturday. Morgantown’s local diner, Kathy’s Café, always has yummy homemade pies on the menu, as well as a variety of home-cooked lunch items. Ralph and Ava’s in Mooresville is a great lunch spot for all ages, and as an added bonus they serve up tasty cake creations from Sugar Mama’s! 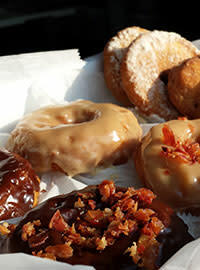 Gray Brothers Cafeteria has long been known for Hoosier comfort food and a variety of desserts. If you’ve never experienced this iconic Hoosier dining experience, maybe it’s time you did! Take the time to truly savor those last fleeting moments of summer vacation with your kids. They might not thank you now... but, they&apos;ll remember it for a lifetime!